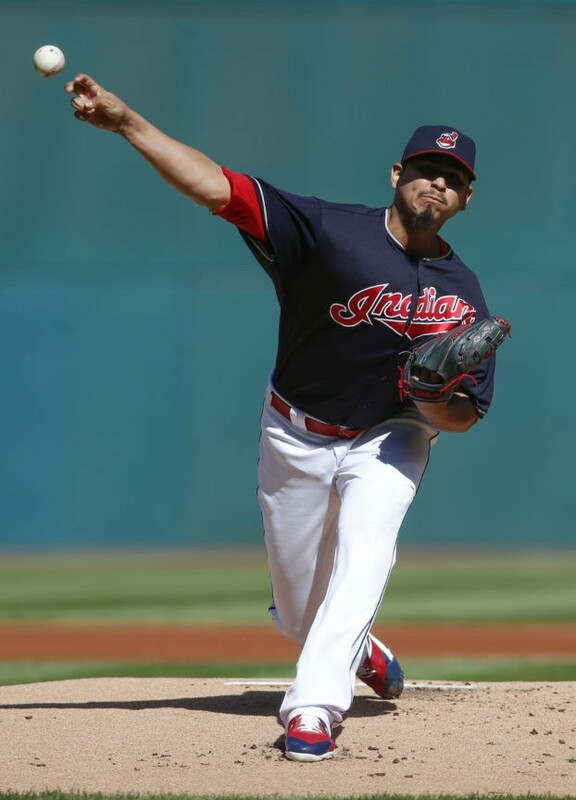 CLEVELAND (AP) — Carlos Carrasco struck out 14, Jason Kipnis and Roberto Perez hit two-run homers and the Cleveland Indians notched their 100th win, a 5-2 victory over the understandably sluggish Twins. Minnesota clinched a wild-card berth hours earlier Thursday. Kipnis, who has moved from second base to center field, connected for a two-run homer — his first since Aug. 18 — in the sixth inning off Trevor Hildenberger (3-3) as the Indians jumped to 31-4 since Aug. 24. Once Carrasco left, the Twins avoided being shut out on Mitch Garver’s two-out, two-run triple in the ninth before Nick Goody got Niko Goodrum to fly to center. These Indians are vying to get back to the Series and moved 1 ½ games ahead of Houston for the best record in the AL and home-field advantage throughout the playoffs. Cleveland also holds the tie-breaker after going 5-1 against the Astros. Minnesota’s Ervin Santana tuned up for his start in next Tuesday’s wild-card game with five shutout innings. Manager Paul Molitor lifted the right-hander after 57 pitches, preserving him for either the New York Yankees or Boston Red Sox. Carrasco will likely follow Kluber in the division series and the 30-year-old can hardly wait after sitting out the entire 2016 postseason with a broken right hand. Perez hit his eighth homer in the seventh to make it 4-0, and an inning later Jay Bruce hit No. 35 — a career-high. The Twins clinched their first postseason berth since 2010 at around 12:15 a.m., grabbing the second wild-card spot when the Los Angeles Angels were beaten in Chicago. There was a raucous, champagne-spraying celebration in Minnesota’s clubhouse as the Twins toasted becoming the first team to make the playoffs after losing 100 games the previous season. The party moved outside Progressive Field, so it wasn’t surprising that a few Minnesota players, some wearing sunglasses and dragging along, wandered in as late as 11:20 a.m. for the 12:10 p.m. start. Second baseman Brian Dozier was the most energetic of the group, greeting reporters with a smile and “Good Morning!” before getting dressed. Otherwise, there was little activity and the TVs were at muted volume. Dozier was given the day off along with regulars Byron Buxton, Eduardo Escobar and Eddie Rosario. Twins: 3B Miguel Sano (left shin), who has been on the disabled list since Aug. 20, was scheduled to work out at Target Field. Manager Paul Molitor said the first-time All-Star was a “long shot” to be active in the wild-card game. Twins: RHP Kyle Gibson puts his six-game winning streak on the line as Minnesota wraps up the regular season with a three-game series against Detroit. Indians: RHP Trevor Bauer, who is 9-4 with a 4.08 ERA at Progressive Field this year, takes the mound to begin a three-game set against the visiting White Sox.